Samed Club Ban Ko Samet, Hotel Thailand. Limited Time Offer! Samed Club. "Samed Club" has obtained 3 stars. It is situated in Ko Samed. To help you get around in the surrounding area more easily, there is a shuttle service available. The interior decor of the building adds a simple feeling to the hotel. The interior bedroom temperature is never uncomfortable thanks to the relieving air conditioning. Looking outside, you can see the sea. Begin your day taking a little stroll in the privacy of the garden. Enjoy the outdoor swimming pool. For guests who like getting in some sports practice, the hotel offers numerous possibilities, such as canoeing, diving, sailing and snorkeling. Guests will appreciate the international specialty of the onsite restaurant. For those who like to keep track of their business, there is free Internet access available. 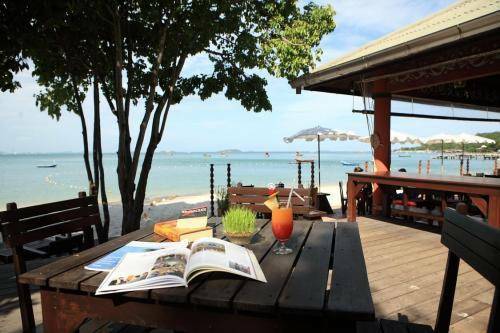 Sunrise Villas is located in Nadan along the North Coast of Ko Samed. Its air-conditioned rooms come with free Wi-Fi. Simply furnished, all rooms are fitted with tiled flooring and a private balcony.